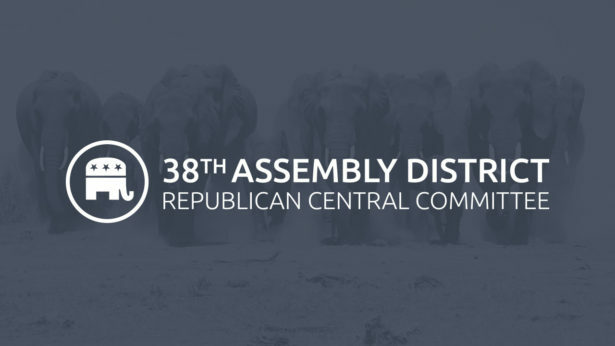 The 38th Assembly District Republican Committee is a local volunteer-based organization in Santa Clarita associated with the California Republican Party that strives to broaden voting registration for conservative, California citizens, support engaging and appealing Republican candidates running for political offices, and to increase Republican voter turnout at political polls and enquiries in the Los Angeles County. There are 24 assembly districts distributed throughout Los Angeles; for instance, the Republican committee in Santa Clarita includes central members who strive to promote local conservative-based volunteer clubs. Additionally, the Republican Committee works to not only do their part in assisting these clubs, but they are also responsible for “organizing voter registration, voter information, candidate recruiting, and getting out the Republican vote in their respective assembly districts,” according to their online site (my38gop.com). According to their webpage, local clubs include the Santa Clarita Valley Congress of Republicans, the Santa Clarita Republican Women Federated, the SCV Conservative Republicans of California, the Santa Clarita Valley Republican Assembly, and the SCV Lincoln Club. Each club holds informational meetings where communicative Santa Clarita citizens share their political opinions and collaborate with one another in order to find solutions to their governmental concerns. Accessible meeting information regarding dates, times, and places can be found on their website. All in all, the Assembly District Republican Committee’s ultimate goal is to properly organize conservative clubs, encourage the opinions of the Republican community to be shared, ensure an organized and rightly configured voting registration, enroll respectable and appealing candidacy, keep voter information secure and protected, and most importantly, to win elections justly and fair-mindedly.